Who doesn’t love a David and Goliath story? Looks like General Electric has chosen India-based Zoho over Google to supply its cloud-based desktop suite on 400,000 desktops. Zoho is a 600 person company that has never taken venture funding and currently generates $40 million a year. 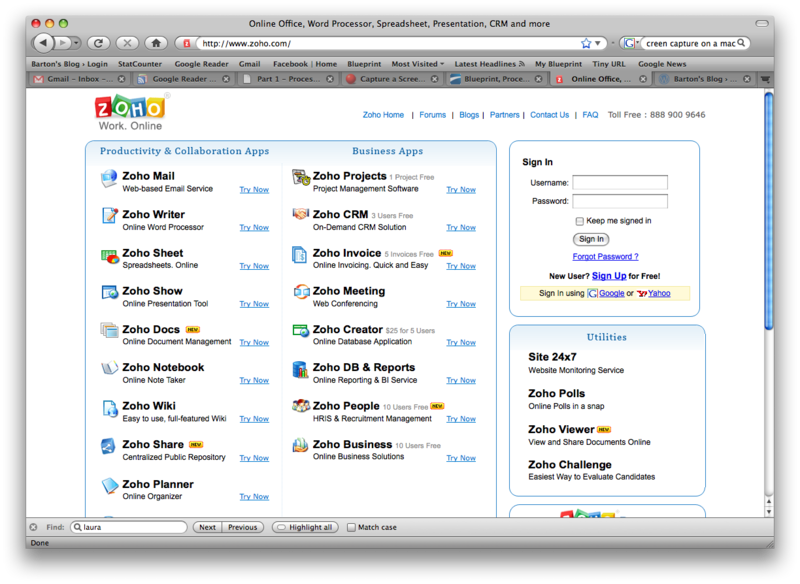 Zoho landing page. Look familiar? This entry was posted on Tuesday, September 23rd, 2008 at 9:47 am and is filed under Uncategorized. You can follow any responses to this entry through the RSS 2.0 feed. You can leave a response, or trackback from your own site.